Cross-country skiing enthusiasts can join the 50 km long Tauern trail Loipe right by our house. This connects the villages of Radstadt, Altenmarkt, Eben im FlachauWagrain and Salzburg. Along the trail, which is very suitable for both classic skiing and skating, there are numerous places where you can stop and take a break. The trail is well marked and equipped – with a Loipenplan nothing stands in between you and your cross-country skiing pleasure. The Höhenloipe Rossbrand offers you a special cross-country skiing experience. With the Papageno gondola lift in Filzmoos you can reach lofty heights and enjoy an unique mountain panorama from the 14 km altitude trail. On the Rossbrand you will also find a beautiful and highly recommended way just for winter walks. Embedded by mountains Gnadenalm is also a popular destination for our cross-country guests. The pasture area has a particularly cozy mountain flair and the 20 km long cross-country trail at 1300m is a hot tip. (www.gnadenalm.at) Both the high-altitude trail Rossbrand and the cross-country ski Gnadenalm deemed guaranteed snow. You can go hiking on the countless trails or through the snowy winter forest, build a snowman or a snow castle in our garden or organize a snowball fight – so you make your winter holiday individually and relaxing. 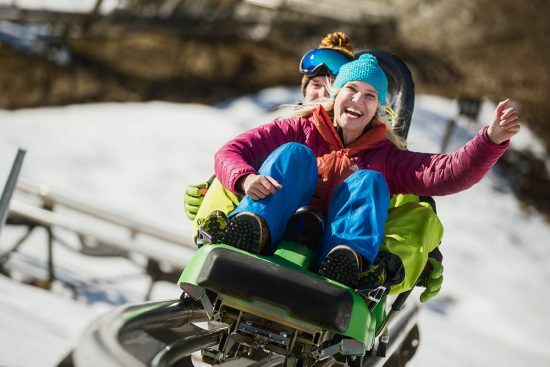 With the toboggan run Lucky Flitzer, the unique Alpine rollercoaster, toboggan fans can enjoy a huge pleasure on rails over a length of 1,100 meters. Thrill and fun for the whole family on the only floodlit toboggan run in Austria. Our natural toboggan runs start all at a cozy cabin or a cozy restaurant. After a traditional refreshment you can toboggan several kilometers into the valley. An unforgettable experience for the whole family. During your Austria vacation that cozy event can not be missing. 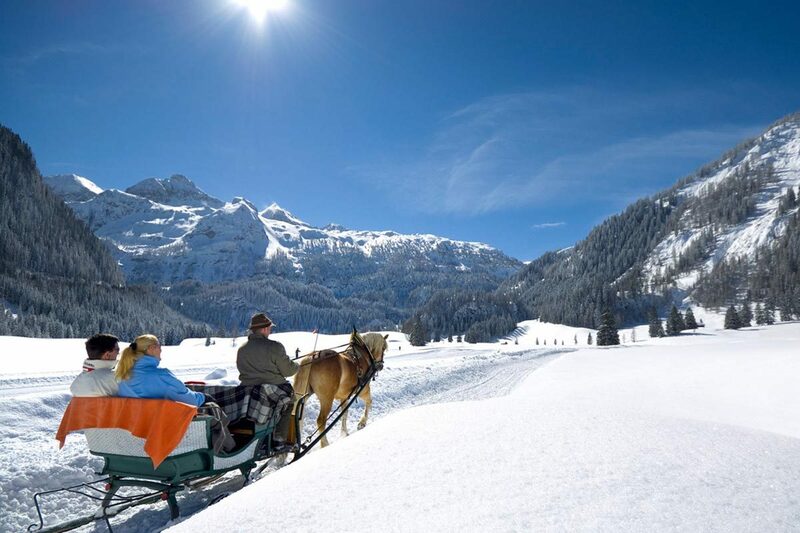 Enjoy the Flachau winter landscape, while chauffeured on a sleigh, wrapped in warm blankets. “Alpine Center Salzburg Sports World”, headquartered in Flachau, (www.acs-alpincenter.com) offers you guided ski tours, deep snow safari, ice climbing, avalanche courses and high rope courses. 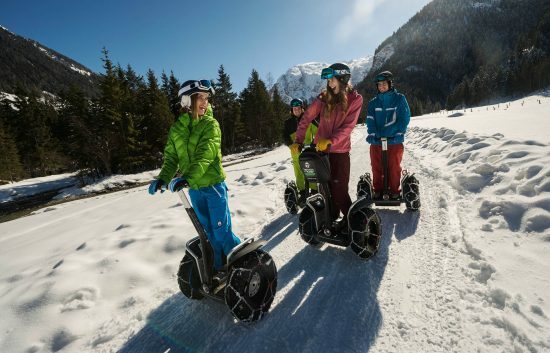 Segways and snow biking round up the ultimate sports in Flachau. The somewhat calmer winter adventure offers a snowball fight in the garden or building a snowman or a snow castle. The latest hit in our Ski Amadé is the Amadé Spa. 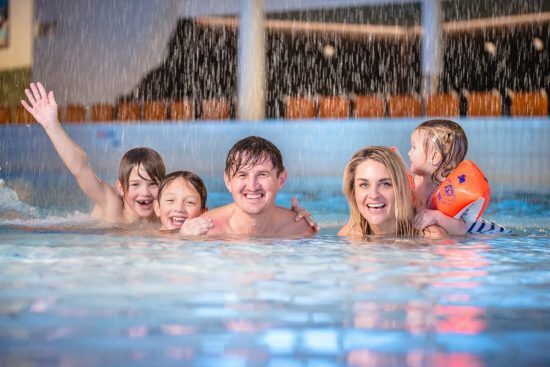 Sauna and swimming enthusiasts will find the perfect alternative program for skiing. The spa spoils swimmers with 11 pools, a looping, a funnel and a Black Hole slide – an unforgettable afternoon swimming. After skiing wellness vacationers relax in the sauna world which offers an amethyst sauna, a panoramic alpine sauna, a salt sauna, a salt relaxation room, a steam bath, a pine sauna, a Hamam, as well as a mountain crystal sauna and a solarium. For more information, see www.thermeamade.at.